Atlantech Online is continuing to set the standard for quality fiber connectivity and service for businesses in Montgomery County, MD and the greater Washington DC metro area. Atlantech recently expanded its coverage by installing and lighting fiber that can be used for business Internet and telephone service at the Shady Grove Development Park (SGDP). 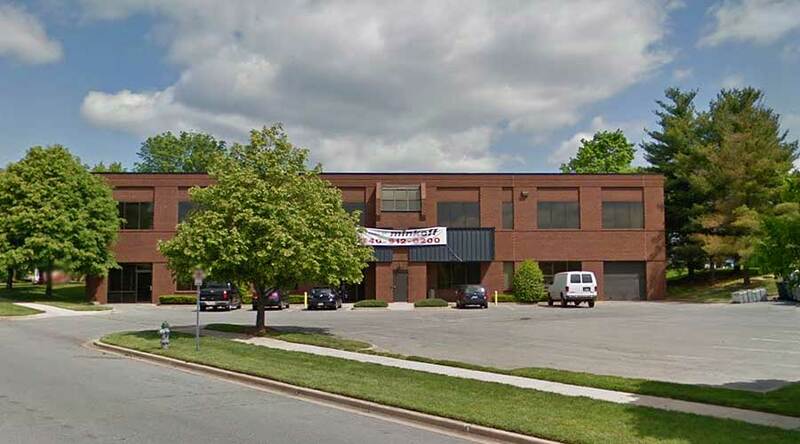 The SGDP consists of the addresses 15819-15887 Gaither Drive and 9246-9298 Gaither Road in Gaithersburg, Maryland. Shady Grove Development Park offers a total of 745,000 square feet of multi-use business space for organizations in Montgomery County, in ten buildings. The development already hosts diverse tenants, including businesses in the health, wellness, finance, and professional services sectors. Each unit at the park has a unique address, with addresses in both the 15000 blocks of Gaither Drive and the 9200 blocks of Gaither Road. SGDP is conveniently located in the heart of Montgomery County, between I-270 and I-370/ICC. The park is just eight minutes from the heart of Gaithersburg, and a short commute from the King Farm, Rio Washingtonian Center, Fallsgrove, and Downtown Crown neighborhoods. The exceptional location provides proximity to shopping, dining, fitness, and health businesses. With fiber-optic Internet connectivity provided by Atlantech, Shady Grove business tenants can immediately begin using secure, high-speed business communications without having to wait for an installation. The Building-Wide Internet Service (BWIS) at the Shady Grove Development Park provides tenants with immediate access to fiber directly in the office. Clients of Atlantech can use these existing fiber resources to configure connectivity at flexible speeds with a range from 10-to-1000 Mbps or even higher. Direct connectivity to Atlantech's fiber resources provides tenants with affordable, immediate access to a comprehensive range of Unified Communications services in the cloud delivered over a secure fiber network. Clients of Atlantech can enhance fiber offerings by bundling affordable, enterprise-class cloud phone service and other offerings for cost-savings and quality service. Tenants at SGDP on Gaither Road can fast-track access to secure and reliable fiber service by working with Atlantech Online to use BWIS fiber resources. For a comprehensive, no-obligation look at pricing for fiber and business phone service for your business, get a quick quote here. Atlantech Online has developed a reputation as a business communications partner who cares with excellent customer service and the highest-value fiber, phone, and data service. With a comprehensive range of solutions for Unified Communications, you can partner with the leading DC area single-source provider for affordable, high-quality communications solutions. Not at Shady Grove Business Park? Click Here to Learn if Fiber is Available in Your Montgomery County Building. Atlantech Online is a leading provider of business fiber, telephone, and cloud communications services. Founded in 1995, the company is headquartered in Silver Spring, Maryland. Atlantech provides a comprehensive range of best-of-breed services for connectivity, MPLS, data, colocation, networking, telephony, and hosting from local, independently operated data centers. The multi-terabit per second fiber backbone can scale to meet the high network and workload demands of Washington DC metro area clients in many highly-regulated industries. To learn more, visit www.atlantech.net or call 800-256-1612.